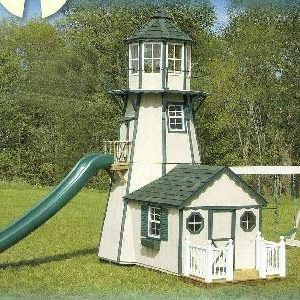 This is an adorable barn playhouse. 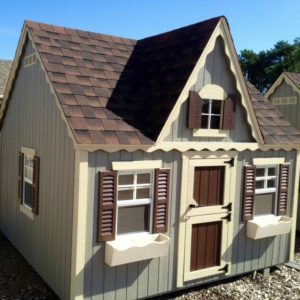 Our best selling size is 8′ x 12′. Comes in variety of sizes. 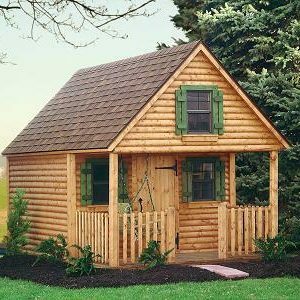 Standard with front porch, swing, kids door, 2 windows and a loft as well as an adult door on the back. 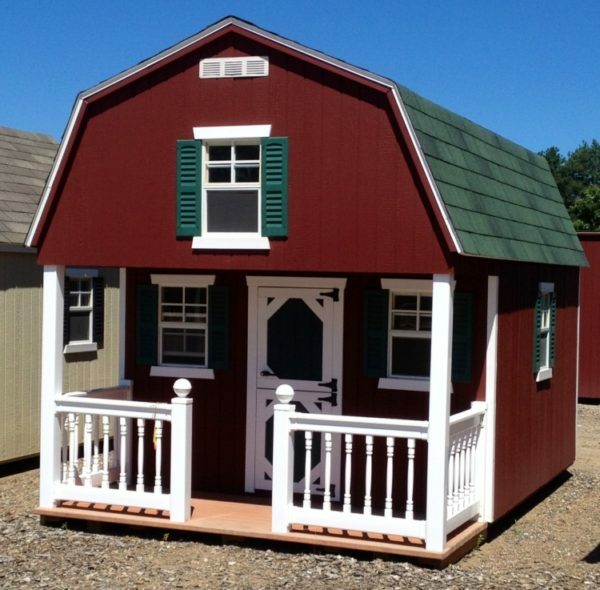 Comes in any color but red is a classic barn color.